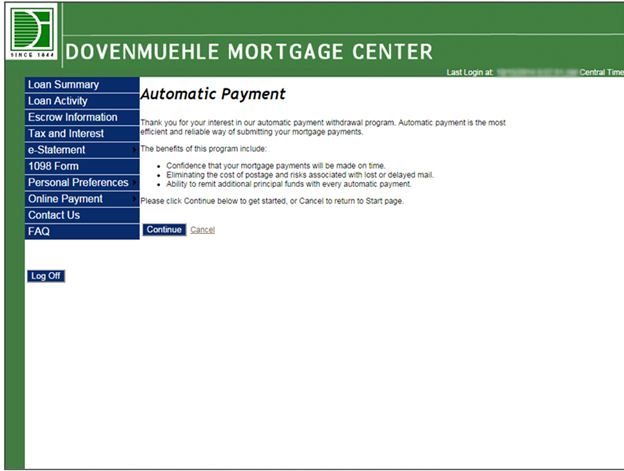 Automatic Payments should begin with the payment: Select the month and year you want the Automatic Payments to begin from the drop down menu. 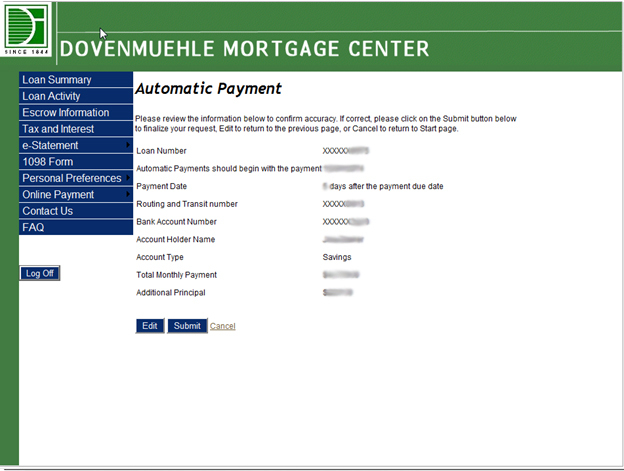 Payment Date: Select the date you want the payment drafted from the drop down menu. Routing and Transit Number: RCU’s Routing Number is 321177586, so enter that number here if the funds will be withdrawn from your RCU account. If the funds will be withdrawn from another institution, please enter that institution’s Routing Number. Bank Account Number: Enter the account number of the account from which you want the mortgage payments to be drafted. Re-enter Bank Account Number: Re-enter the account number of the account from which you want the mortgage payments to be drafted. 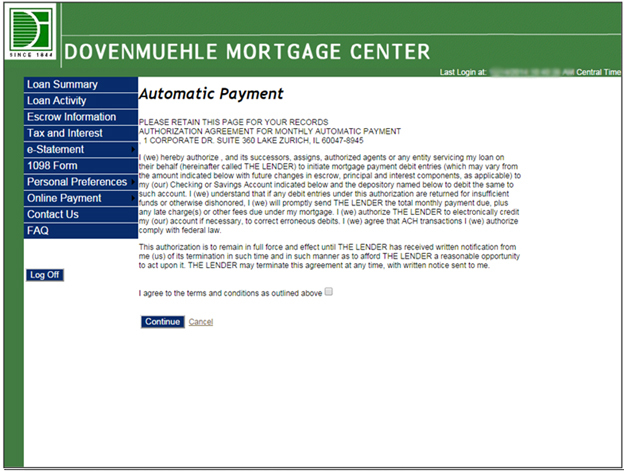 Account Holder Name: Enter the name of the primary account holder on the account from which the mortgage payments will be drafted. 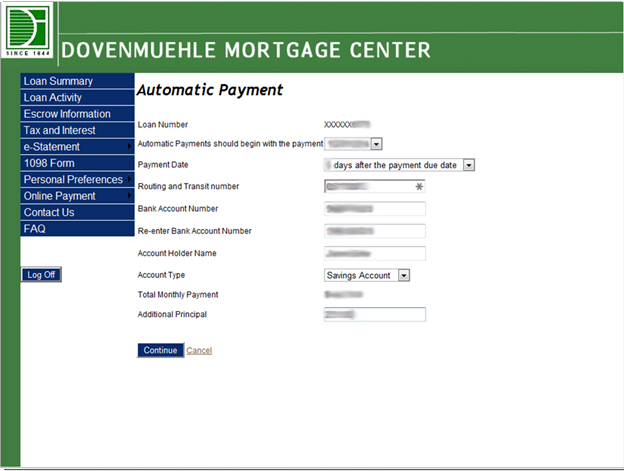 Account Type: Select the type of account from which the mortgage payments will be drafted from the drop down menu. Additional Principal: If you want to have additional funds drafted with each payment and applied directly to principal, please enter that amount in this field. 6. Click Continue and the screen below will appear. Review the information you just entered to make sure it is correct. If you would like to make changes to that information, click Edit, which will return you to the previous screen. If it is correct, click Submit.